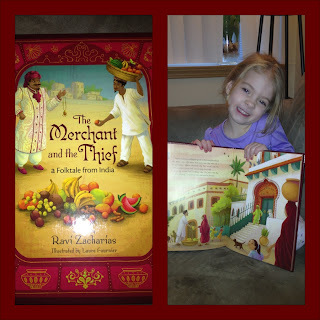 The Merchant and the Thief: A Folktake from India is written by Ravi Zacharias and Illustrated by Laure Fournier. I recieved a copy of this book from Zondervan Christian publishing company to do my review. I was not paid and all opinions are 100% mine. 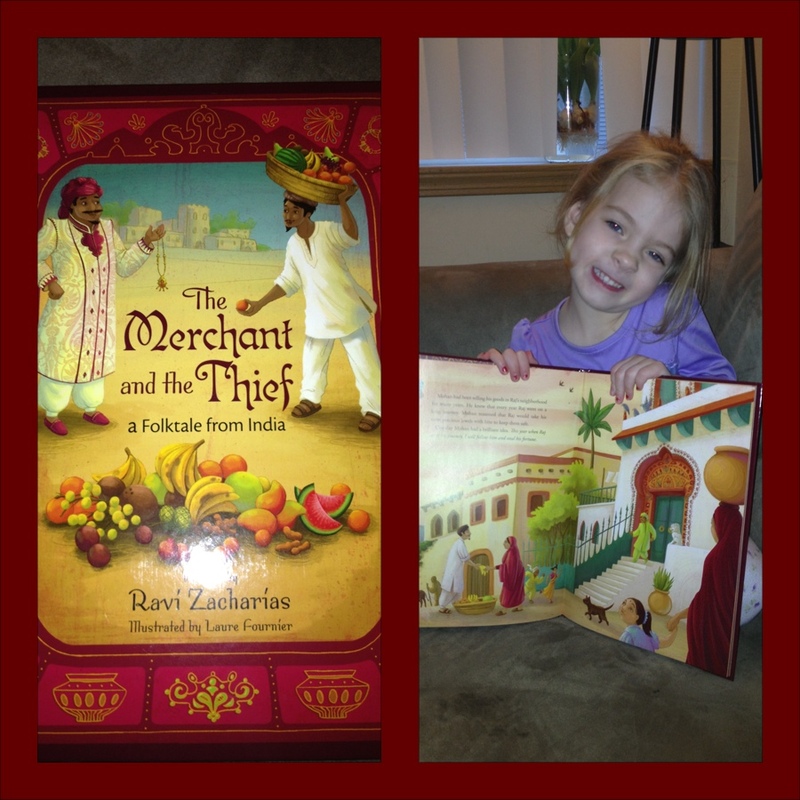 Author Ravi Zacharias tells the story of two Indian men, one in poverty and the other rich. When the poor man becomes envious of the rich man he schemes to plan a way to steal but the rich man is aware of the man's intention and is able help the poor man find a different kind of treasure: God's Love. As I opened the packaging the color of the book grabbed my attention immediately. The deep red and the illustration of the two men were wonderful. In fact all the pictures were beautiful in deep colors. I sat down to read the book to my 4 year old and I was excited to pull out moral of the story. My daughter caught on and realized the bad choices that the one man made and how his heart was selfish without Christ. We discussed how it would have been really easy for the rich man to become angry when he found out the poor man was trying to steal from him but he did not. The man realized how much more important it was too share the love of Christ. What a great story to remind and teach us that we should be sharing God's love and forgiveness to everyone! 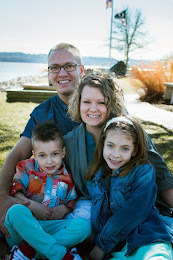 I love finding awesome stories that help encourage my children to share their faith. 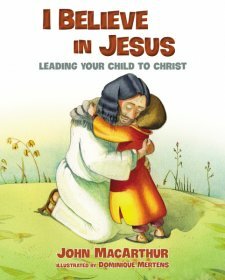 This is a must have for any mom or children's ministry at a church. About the Illustrator: ion at Swindon college in England. Laure Fournier was born in Antibes, France. She studied at the Emile Cohl School of Art in Lyon (France) before continuing her education at Swindon college in England. Since graduating, she has been working as a children's book illustrator. Love Ravi, he is a gifted teacher. That is great he has a children's book out. Definitely going to look into securing a copy of it for our library here at home!